This print is an 11″ X 14″ inch high resolution photo on thick poster stock. 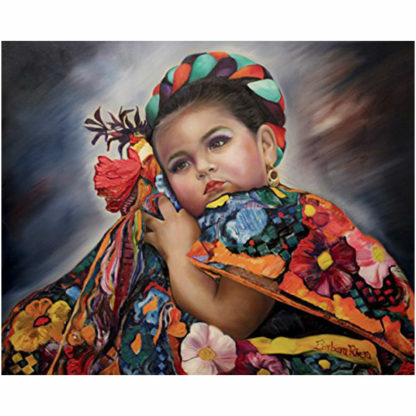 The original artwork is an oil painting on canvas by Chicana Artist Barbara Rivera. This piece has been featured in various art exhibits in Southern California.